To develop as an inquiry-based teacher is a continual process and it is often a process of reminding oneself to continually to teach and draw for conceptual understandings, rather than just teaching the content of our subjects. As MYP teachers we are given the challenge and privilege to teach the transferrable key concepts and the subject-depth related concepts within global context. This makes for very powerful learning experiences for our students. I find myself often getting carried away in the day to day routines of the classroom and my focus is often distracted and focussed on the delivery of content, rather than continually striving to facilitate my students conceptual development. Especially with students who act in a difficult manner or the class is just not collaborating the way I wish them to, a traditional approach and content-approach can be seen as a quick solution to classroom learning. I often have to steer myself back to focussing on my development as an inquiry-based teacher to ensure that my students have the opportunity and privilege of all that inquiry-based learning offers. 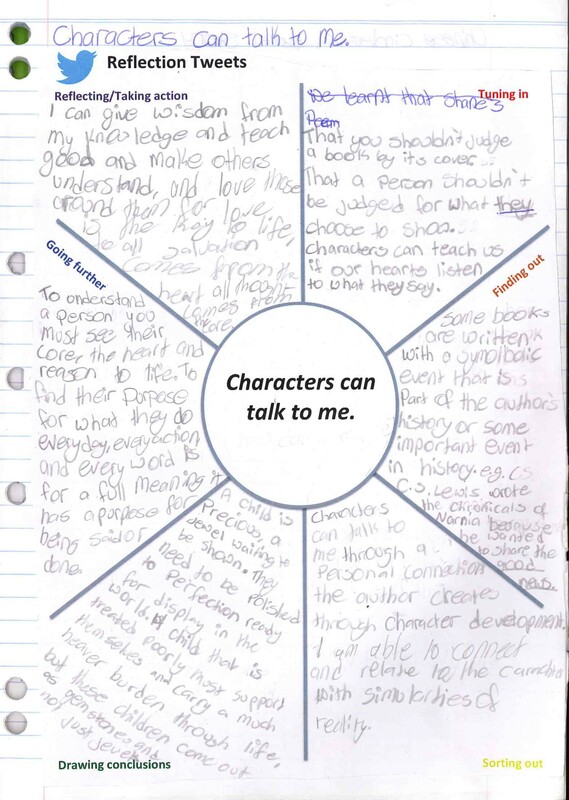 To counteract this absent-mindedness, I developed an SOI (statement of inquiry) reflection routine in the classroom. 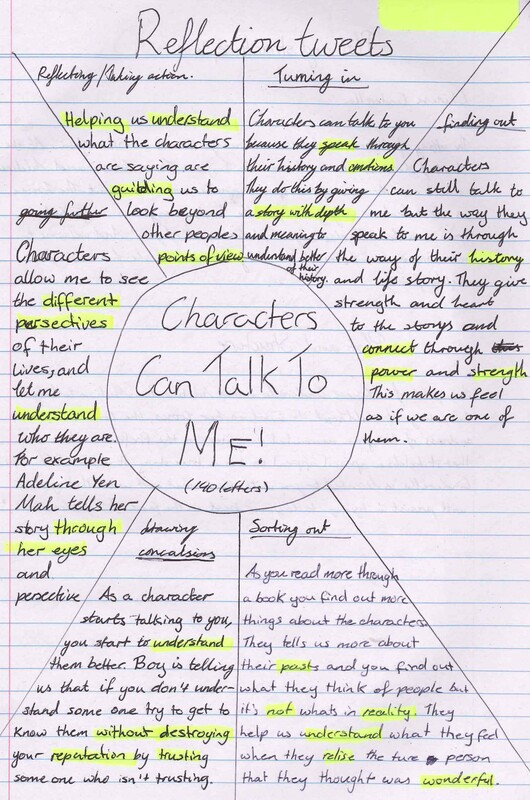 Once we had finalised each stage of our inquiry cycle and through formative assessment I have clarified that each student has clearly understood and could articulate their learning within these stages of inquiry, I have my students thinking explicitly return to our SOI and reflect on their developing understanding. This reflection is simply one page in the students Language and literature books where they can jot down 140 character “tweets” in response to our SOI. 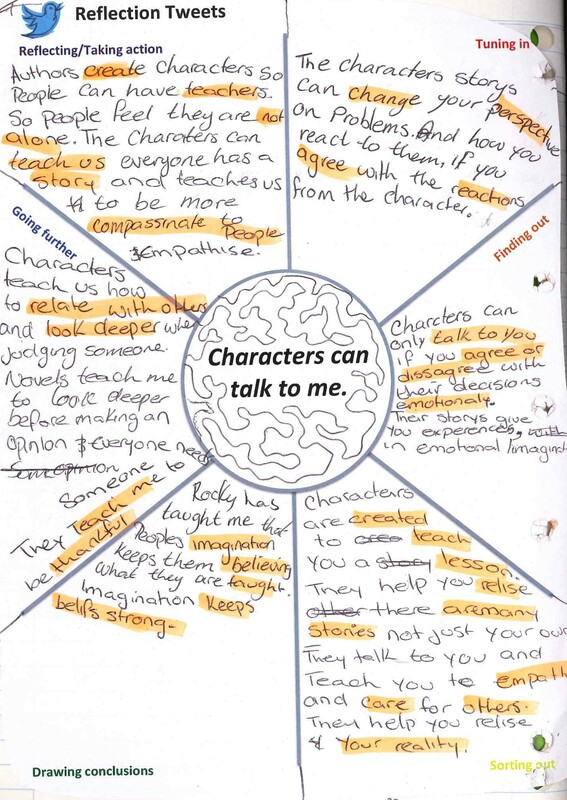 Our Language and literature unit has been an inquiry into the authors craft, how authors develop characters with intention to change the perspective of the audience. Our SOI is very simple: characters can talk to me. We go deeper through our inquiry questions, global context area of exploration and learning experiences into the key and related concepts of development, character and audience imperative. By intentionally setting time for the explicit reflection on our SOI, meant that my students, and I, were consistently reflecting, and thinking about how our conceptual learning is developing. We could see where we may need to ask some more questions in order to reach deeper levels of understanding and where we need to learn from others and share understandings of our SOI. 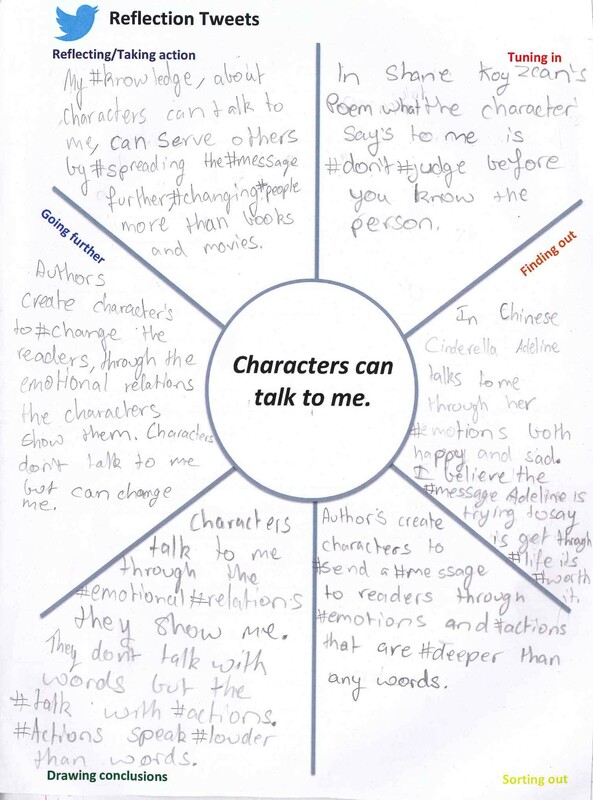 I found by the end of our inquiry unit when students were taking action by delivering their TED-style Talk’s they were able to use their SOI reflection tweets to develop complex responses of our SOI. 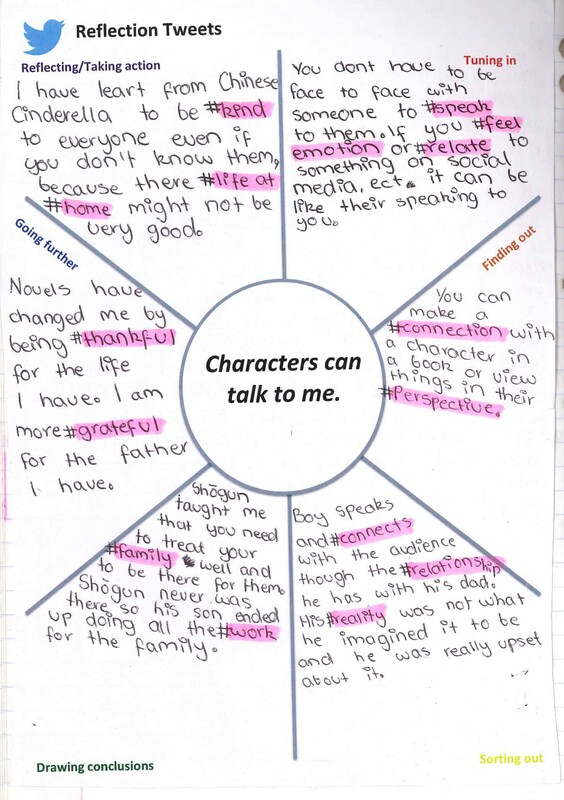 This also enabled students to have time to think about their learning and just how they were learning – engaging their metacognitive skills. Inquiry-based and concept-based learning is very broad and there are many, many ways in which we can engage our students through inquiry. The benefit of inquiry is that we as inquiry-based teachers use the learning needs and styles of our classes to structure our lessons, we are not limited to one approach. 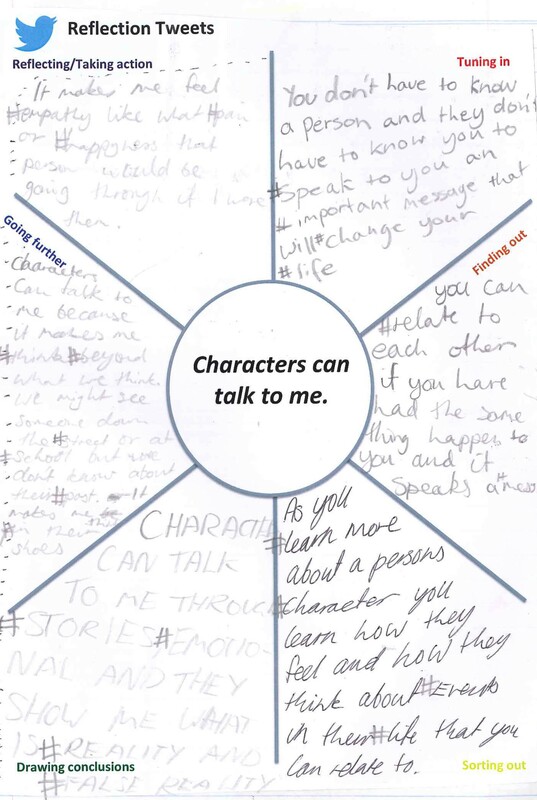 By allowing time for reflection and seeking developing conceptual understandings I found that my students not just developed their Language and literature knowledge and skills, but naturally began to reflect on themselves as people – in particular how they were developing as more open-minded and caring young people who were able to see others with a different and more empathetic perspective. Concept-based reflection allows our students to grow and learn holistically and not just develop cognitive skills but also develop their affective skills.